There are some couples who lead a long happy married life and find themselves to be bonded to one another. However, there have been a growing percentage of couples in India, who find themselves in a dire situation just after a few weeks, months or years of marriage and would like to call it off. This is a situation that can be handled excellently by divorce lawyers in Chandigarh, who have been representing cases of this type for a long time. These lawyers are well versed in the divorce procedure in Chandigarh and can be expected to provide a result that would benefit both the parties in the long run. It is an agreed fact that either spouse needs to present divorce petition to the court only after trying out different options and check if their marriage can work again or not. What the couples need to understand it is not only they who are undergoing the problem, but also their families, who can be troubled by this issue. Divorce procedures can be confidence shattering and also drain out the individual emotionally. Most of all, divorce would mean breaking ties with the person, with whom the individual and both the families had agreed to be in binding through marriage. It is for this reason that there is a genuine need to consult mutual consent divorce advocate, who can help both the parties to reconsider their opinion about divorce, listen to what they have to say and to find out solutions that could work and bind the marriage once again. Advocate for divorce state that divorce should always be the last option, otherwise, it could happen that both or any of the party could regret that they did not try enough to reach the other. How to get separated legally in such a case? The law states that couples might present the divorce petition, if cohabitation among the parties to marriage has not resumed, to a period of about 1 year or more, after the decree has been passed for judicial separation. Cohabitation resumption means the couples living in conjugal relationship together. However, the means are quite narrow and should not be necessarily applied in every case, irrespective of surrounding and special circumstances. The lawyers for divorce can be in a better position to explain the couples about this and make them understand as to how this type of divorce can be applied. It is entirely up to the intention of both the parties to resume cohabitation, but not to live under same roof of the matrimonial home. A good divorce lawyer would do everything in his discretion to make the couple educated about the facts of divorce and provide proper counselling to make them to look at the misunderstandings and to call off the divorce proceedings. 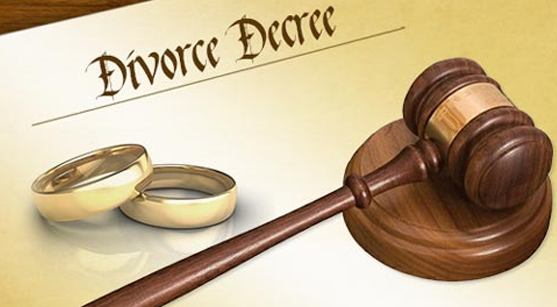 If still, there happens to be issues and complications, it is the divorce lawyers in Chandigarh, who help their clients with the proceedings and to get the divorce, if such a situation arises.